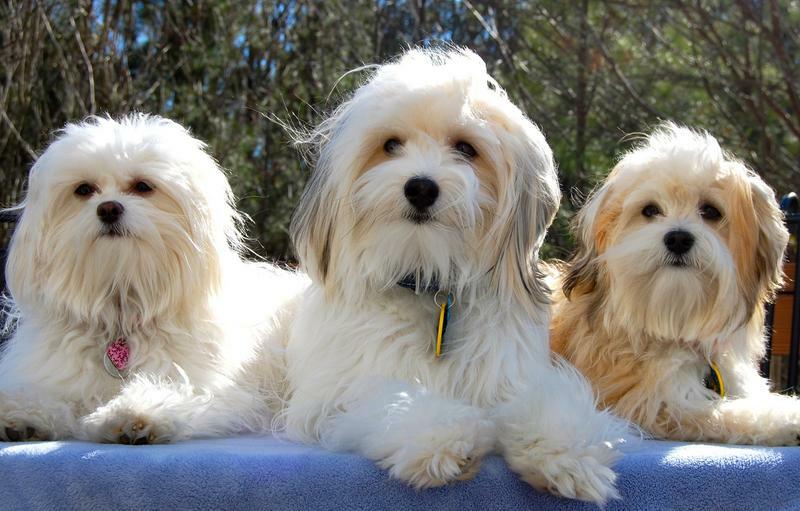 ​ I am writing to tell you a little about our experiences with Heartfelt Havanese. I had contacted Mary because we had lost our 13 year old, Rocky, and needed someone to fill the hole in our hearts. We had a great conversation, and just knew it was a good fit! That is when we brought Sasha Bella home. She was such a great puppy! We both had many dogs growing up, but she was something special. Soooo, 6 months later, we asked Mary if there was another litter coming soon, and that December we added Jacob Cooper to our family! I must say, it was not a fluke, because he was just a joy! To make a long story short, 7 months later we added Sadie Mae to complete our beautiful puppy family! I cannot say enough wonderful things about Mary and her family. She is always there to answer questions, no matter how small. Mary raises the puppies so that they will be ready to enter your family with ease! She is a loving and caring person and raises the puppies in a loving home. After having 3 wonderful puppies (and yes, we even have a Heartfelt grandpuppy), I would recommend them very highly. Our pups have the best personalities and are so loving, caring and smart! All three of them are Certified Therapy Dogs, and Sadie Mae just earned her novice Trick Title. 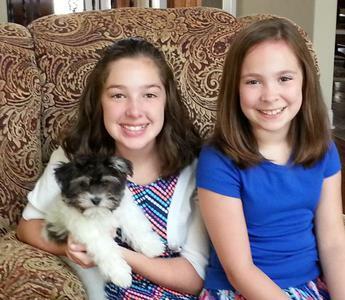 We have not just found a breeder, but we have made a lifelong friend at Heartfelt Havanese! Heartfelt Havanese is exactly that - heartfelt. Buying a purebred, show quality dog should be a partnership and with Mary, it is. Most obvious is that Mary loves and cares for her Havanese and is committed to maintaining the numerous desirable qualities of this beautiful and lovable dog, then sharing them with people who will love and care for them, too. I am so happy and grateful that she shared Shade with me. Shade is now three years old and he is happy, healthy, hilarious and very loving. Not to mention he adds all of this to my life! I could not ask for a better dog, period. Mary and I chose Shade for me when he was about a week old. She sent pictures of him and notes about his progress weekly until it was time to bring him home. Shade was the cutest puppy ever, yet it had been 12 years since I had a little dog running around my home. He showed signs of his intelligence at a very young age. Mary was available for ‘counseling sessions’ when I knew that little sweetie was outsmarting me and her advice was always helpful and kind. She guided me through food choices, toys, stages of growth, beds, etc. Even now, I still call Mary if I have a question and send her an occasional picture of my gorgeous Shade! Mary continues caring about her dogs after they have gone to their new homes and that is comforting to me. Thank you, Mary, for my darling Shade. We want to thank you again for the great experience we had with Heartfelt Havanese! From the initial contact about Lucy, you were courteous, professional and very informative. You provided a wealth of information to us when we met Lucy and gave us all the tools we would need to ensure she blended into our family. You have listened and responded patiently to our questions since we brought her home. We are positive she is so well adjusted to her new home due to the environment you provide for your dogs. It is clear you love your dogs! She brings smiles and laughter to our home, as we watch her prance around the house! Thanks for sharing that love with us as Lucy becomes a part of our family. ​Just wanted to let you know we we're talking today and wanted to say thank you for Doc. He is amazing, bright, FUNNY, and very smart. He is so happy and very good. He is the most loveable little boy ever. He is so affectionate. Grace is too, but he just loves to give kisses all the time. We are truly blessed and just wanted to thank you again for picking them for us and bringing them into our life. They make us laugh and cry and very happy!!!! Getting a puppy is a major event in anyone's life and it can be a daunting task. 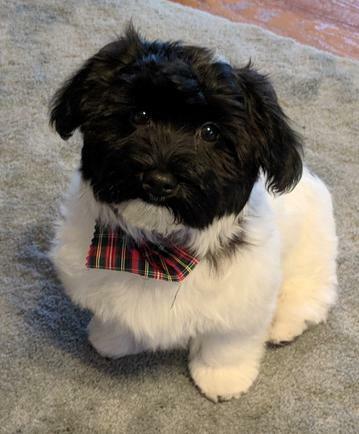 That being said, I've had such a positive experience in acquiring my puppy from Heartfelt Havanese that I wanted to share it with others looking for this type of dog. In my case, I already had a 10 month old male Bichon Frise and was looking for a companion for him and my family. Having acquired him from a reputable breeder, I had some idea what to look for. I began doing research and narrowed it down to two places. 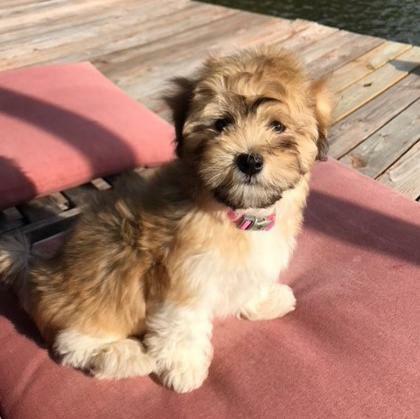 I chose Heartfelt Havanese instead of a place much closer to my home for several reasons: Number one and most important was how responsive Mary was to all my questions and I had many. Secondly, I got to come and see the puppies at six weeks. This was a wonderful experience for me and my family as we were able to gauge my new puppy's temperament before making a final decision. I also got to see how well all the puppies are cared for and socialized and I got to see both the mother and the father as well. I have to say all of Mary's dogs are so gorgeous and a testament to the breed. My final reason was that the puppies were so many different colors that I knew I would find one that would be just perfect and I did! 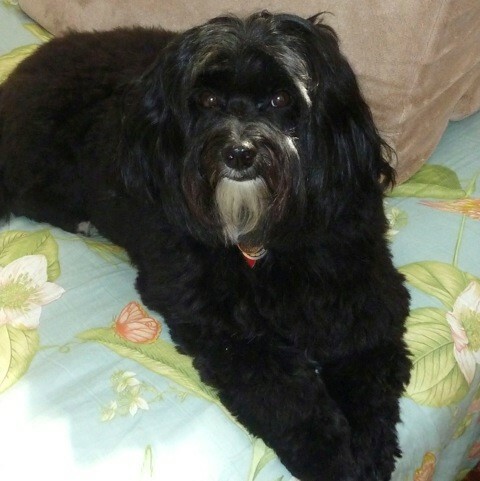 Mary has been wonderful to interact with and I highly recommend her to anyone looking for a Havanese.